I have a love/hate relationship with genealogy. I like to think of it very much like my dating life. Everything is going perfect and you feel like the luckiest girl in the world, then…BAM! That “bam” being a brick wall. It’s that one thing that you can’t seem to get past. You are now questioning everything you’ve done up to this point. I guess before I get too carried away, I should introduce myself. 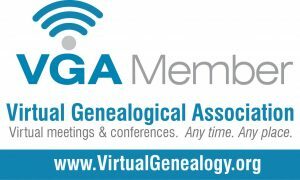 My name is Amanda and I am a genealogist. I should warn you now that I am not your typical genealogist. I tend to be on the younger side of most of my colleagues and I try to make research fun and interesting. This has been known to get me in trouble a time or two and definitely makes for a good story. That’s why I started this blog. I wanted to show the “cooler” side of genealogy. Now back to that love/hate relationship. I’ll admit that I did not grow up with this deep desire to search for dead relatives. In fact, when I first started doing research, I hated it. My mom was the family genealogist and she would drag me along as her assistant. I dreaded the Saturday trips to the archives. I’m not exactly sure when my feelings towards genealogy changed. I’m thinking it is when I finally started listening to the stories of my ancestors and realizing there was much more to them than the “dates” that made up their lives. There is something amazing that happens when you are able to see yourself in an ancestor who lived so long ago. With the blog, I’ll be sharing some tips & tricks, as well as some accounts of my research excursions. I will also be posting stories about some of my more interesting ancestors. I invite you to come along this journey with me. We’ll laugh, we’ll cry, and we’ll definitely get frustrated with some brick walls…but isn’t that what relationships are all about? If any questions, thoughts, or comments come up, please feel free to pass them along to me. I’d love to hear what you think!